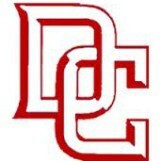 Dodge City, KS(westernkansasnews.com) The Dodge City High School softball team swept a double header from Height Thursday winning both games by run rule. The Lady Demons won game one 18-8 and game two 17-5. Dodge City jumped out to a 9-0 lead after a seven run second inning. Heights responded in the top of third with 5 runs to cut the deficit to four, but that’s the closest they would get. In the bottom of the third Dodge City would score three runs to make 12-5. In the top of the fourth Heights would score three of their own to again cut the deficit to four. In the bottom half the Lady Demons responded with six runs to make it 18-8. Raemie Lopp(4-1) got the win on the mound pitching 5 innings giving up 5 hits and 8 runs, while striking out 6. Madison Armstrong led the way at the plate going 2-3 with a single, double and 4 RBI. Lopp and Maddie Kalsheur also had 2 RBI each. Sammi McQuiston led Heights going 2-3 with 2 RBI. Heights jumped out a 3-0 lead in the top of the first, then Dodge City scored 11 in the bottom half and never looked back. The Lady Falcons cut the deficit to 11-5 in the top of the third, but then Dodge would add two runs in the bottom half and four in the fourth. Ragen Lopp(4-1) overcame a slow start to get the win, giving up 5 runs on 7 hits and striking out 8. Grace Ruehle led a balanced effort at the plate going 2-2 with a double, single, 2 RBI and scoring 3 runs. Jessica Olivarez went 2-3 with 2 RBI and Madison Armstrong was 1-3 with 2 RBI. In the two games combined lead off hitter Elise Helfrich went 1-2 drawing 6 walks and scoring 7 runs. Dodge City is back in action Tuesday when they host Great Bend in WAC play at 4 p.m.